Ben became President of the Institute of Osteopathy in October 2017. He believes that osteopathy has an important role to play in the future of healthcare in the UK and is keen to champion the contribution that osteopaths make to their patients’ health. 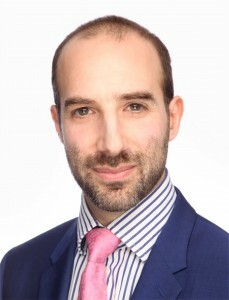 Since graduating from the University College of Osteopathy (formerly BSO) in 2004, Ben has completed postgraduate training programmes in Paediatric, Cranial and Classical Osteopathy. He is a member of the Faculty of the Sutherland Cranial College of Osteopathy and has taught at the University College of Osteopathy, the Osteopathic Centre for Children and the Institute of Classical Osteopathy. He is project manager for the Osteopathic Development group’s Accredited Clinical Practice project. Ben runs a family-centred osteopathic practice in East London.